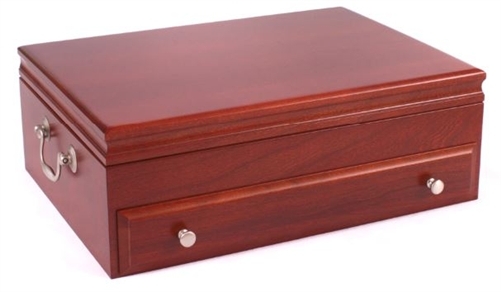 American Chest's "Bounty" flatware case, solid cherry in rich mahogany finish. 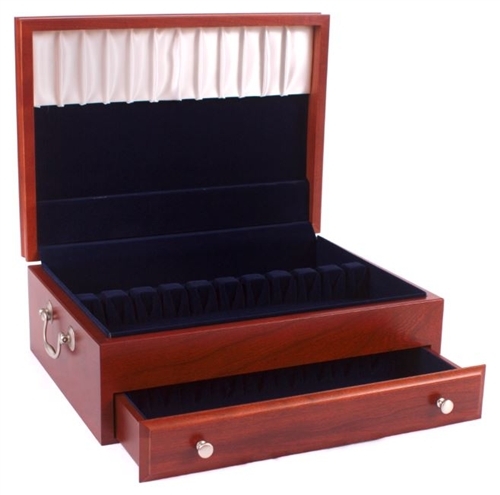 180 pieces in anti-tarnish lining, bottom drawer. Made in USA. 17"W x 11 1/2" x 6 3/4"